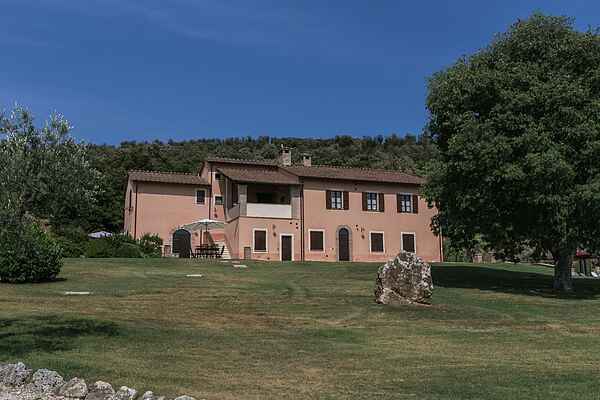 Five beautiful apartments in one building, idyllically located, surrounded by hills. You can cool down nicely in the shared swimming pool after which you can take in the views lying on a comfortable sun lounger! Your apartment is situated in 12 kilometers distance from the attractive town Narni. Visit the 'Piazza dei Priori' which used the be a Roman forum. It is recommended to get on the train in Narni and travel further south. Because one hour later you will reach 'Caput Mundi': Rome, the capital of the world (90km). An absolute must and thanks to the easy train connections no need for finding a parking spot! Terni (21km) is an alluring town with impressive buildings. The Italians call this city 'la città degli innamorati'; 'the city of lovers' because of the patron Saint San Valentino. Spoleto (40km) is also recommended. This town has a town wall. The 'festival due mondi' takes place here in June and July; a music, ballet and theatre festival with European and American artists.